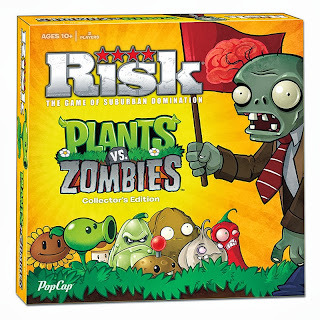 If you're looking for a way to detach your entire family from their device screens, this just might be the answer… PopCap Games’ ever-popular plants and zombies are making their way to kitchen tables everywhere with the debut of RISK®: Plants vs. Zombies™ Collector’s Edition. 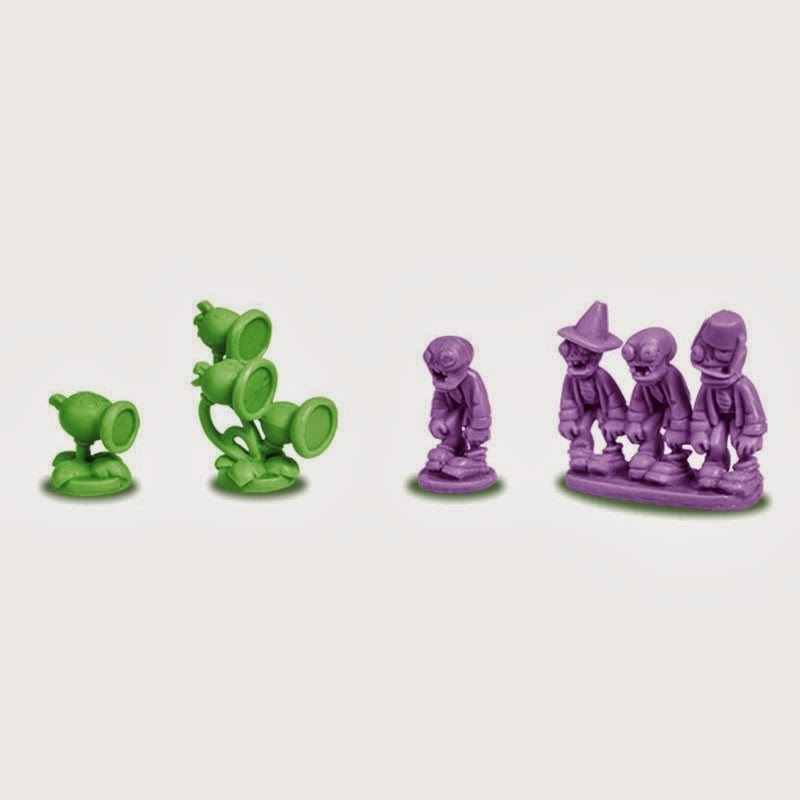 Based on the familiar childhood classic game of military strategy, PvZ Risk pits the army of undead against the herbacious platoon of Peashooters and Threepeaters. 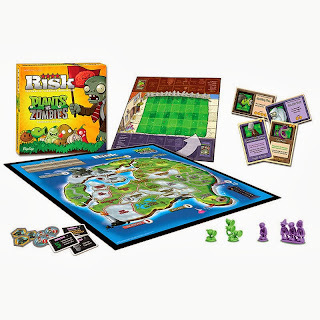 The board is double-sided, so you can choose to play in the familiar backyard of the PvZ video game or battle for the rights to the entire town of Brainsborough.